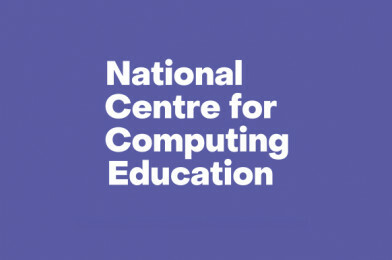 STEM Learning have announced that MGL and Edge Hill University will be the North West Regional Delivery Partners for the National Centre for Computing Education (NCCE) programme. Delivery Partners will be offering & delivering CPD until October 2019 when the official Computing Hubs are in place. Take a look below for their CPD offer. A list of available courses can be found on the Teach Computing website. On booking visitors are taken to the STEM Learning website for registration. Many courses are free for schools in Priority areas. One free place to all state funded schools in LADs 5 and 6. In addition eligible schools receive £100 bursary for each day of training completed. Whether schools send one teacher to several courses or share the CPD amongst several teachers is up to them and schools can send multiple members of staff on training but only one is free and eligible for the bursary. Additional staff from schools in LADs 5 and 6 will incur a fee of £35 per teacher per day. Schools outside LADs 5 and 6 can also attend CPD at £35 per teacher per day. A modularised programme with a combination of face-to-face (across the UK) and online courses. 40 hours of CPD, including at least two face-to-face courses, a short GCSE-level test (can be re-taken) and access to additional CPD to enhance subject knowledge; it is anticipated it will take around 6 months to complete this course. Bursaries to all state funded schools in LADs 5 and 6: £220 per day for the first two face to face GCSE Accelerator courses that they complete. (£440) Additional bursary of £870 before 31st July 2019 and £600 from 1st August 2019 for eligible teachers who complete 2 free online GCSE Accelerator courses and the final assessment. Maximum bursary is £1750 up to 31st July 19 (2 X 2 day face to face courses (£880) + £870) and £1480 from 1st August 2019 (2 X 2 day face to face courses (£880) + £600). Non-eligible teachers or teachers from non-eligible schools will pay £440 per course and will not be eligible for a bursary. Online training is free of charge. CORE Computing Programme from May 19. Unlimited free places for teachers from all state funded schools in LADs 5 and 6. In addition eligible schools receive £100 bursary for each day of training completed.